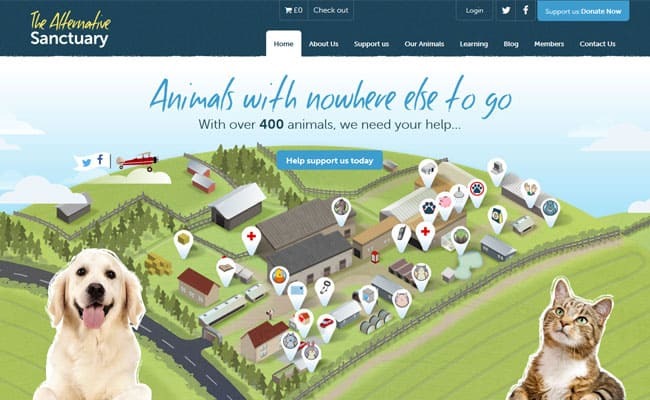 Alternative Animal Sanctuary, Luton – The Alternative Sanctuary, based in Luton, is a non-profit making organisation, which cares for abandoned and unwanted animals. The sanctuary is always looking for people willing to rehome unwanted and unloved dogs, horses and small animals. Volunteering at the Alternative Animal Sanctuary. It is possible to volunteer and help the work of The Alternative Animal Sanctuary, however the main need at present is for fundraisers. If then you feel you could organise boot sales, collections, sponsored events or any form of fundraising even if it is just spreading the word that would be greatly appreciated. Volunteering at the Alternative Animal Sanctuary. It is possible to volunteer and help the work of The Alternative Animal Sanctuary, however the main need at present is for fundraisers. If then you feel you could organise boot sales, collections, sponsored events or any form of fundraising even if it is just spreading the word that would be greatly appreciated.